Which field of science is the right one for you? Should Rosalind Franklin have shared the Nobel Prize? Well, of course, she was dead, you see, so that it was not possible to have it [the Nobel Prize] posthumously, and moreover there would’ve been a problem for the electors that they don't… they're not allowed to give it to more than three people, so I don’t know quite what they would’ve done. They… they could’ve given it to Jim [Watson] and me for… for the physiology one and they could have given it to Rosalind and… and Maurice Wilkins possibly for the chemistry one. They would’ve had to work out some other sort of compromise. But it didn’t arise because she… she died a few years earlier of cancer, so…. 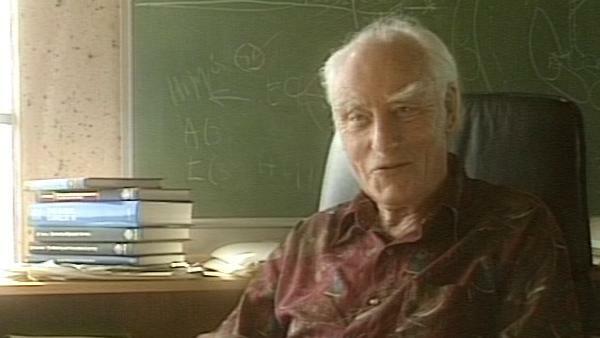 The late Francis Crick, one of Britain's most famous scientists, won the Nobel Prize in Physiology or Medicine in 1962. He is best known for his discovery, jointly with James Watson and Maurice Wilkins, of the double helix structure of DNA, though he also made important contributions in understanding the genetic code and was exploring the basis of consciousness in the years leading up to his death in 2004. Title: Should Rosalind Franklin have shared the Nobel Prize?